A great many people have what is termed “fair credit”. Fair credit essentially means that a person is relatively good credit risk for lenders but there have been some “blips” on their payment history – a few missed payments, a late payment here and there, or they are simply too young to have built up a more extensive credit profile to achieve a higher score. Capital One are known for the great benefits that come attached to all the credit cards they offer and this offering, designed for those with fair credit or better, is no exception. After the introductory 0% APR is over after 6 months the interest rate is still a reasonable 17.9-22.9% APR which is very good for any cash rewards credit card. And that is the great thing about this credit card – the cash back rewards. With this card all purchases earn at least 1% cash back and grocery and gas purchases are rewarded at a rate of 2% cash back. There is no limit on the amount of cash back you can earn and the rewards never expire, allowing you to save up for those bigger ticket rewards. Orchard Bank specialize in providing those with not such great credit with good credit card products that help them build up their credit rating while affording them all the other benefits that come along with credit card membership. For those with fair credit the $39 set up fee charged to those with lesser credit is usually waived but there is an annual fee of $35-$59 for all cardholders although that is waived for the first year that you hold the card. 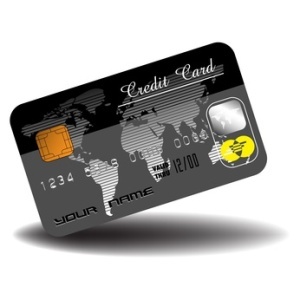 The 7.90%-19.90% interest rate is a reasonable one and although there are no special rewards attached to this card it is accepted wherever MasterCard is and all activity is reported to all three credit bureaus which will help build up your credit quickly if you use the card sensibly and regularly. Students are the one section of the population for whom it is understandable that their credit rating is not so great and this special Capital One credit card is designed to help them remedy that while giving them access to a very useful line of credit for those little emergencies that always seem to pop up when you are in school. The 19.8% APR is very reasonable and students can earn a lot of their reward points just for maintaining good spending and bill paying habits. For instance every time a card holder pays their monthly bill on time they are given 25% bonus on all the cash back they earned on purchases made in the previous month. All purchases are rewarded at a rate of 1% cash back and can be redeemed at anytime after the balance reaches $25. Discover cards in general are known for their great rewards programs and this credit card for those with fair credit is certainly no exception. Card holders enjoy a 0% intro APR on purchases and balance transfers for 12 months, then the variable APR of 11.99% – 20.99% is very reasonable, especially for a credit card that offers as many rewards as this one does. The Discover Open Road card, as the name suggests is a particularly good one for those who are on the road a lot. Most purchases are rewarded at a rate of 1% cash back but those made at gas stations or at any restaurant (including fast food joints) at a rate of 2%. In addition a $10 bonus is awarded on every gas purchase over $25 within the first three months, up to a total of five fill ups. Given the cost of gas right now that is an easy $50 to earn as well as the generous 2% cash back you will earn as well. Cash back rewards can be redeemed as soon as the balance on the account reaches $25 and can redeemed as straight cash back or for a number of other great travel and gift certificates if you would prefer. It should be noted that in most cases a fair credit score will get you approved for these credit cards that is be no means guaranteed for everyone. No one of these cards is easier to obtain than another but if you are turned down for one or two of them applying for more right away may harm you already fragile credit and you should hold off for a while until your credit improves a little.